I know it's been a bit quiet around these parts lately, but I wanted to take a moment and wish all of you a Merry Christmas! I hope you're all able to spend a few days with your family & loved ones to celebrate the holiday season. We'll be spending Christmas up in the foothills with my family, then driving down to San Diego to celebrate with Andrew's family. Although there will be a lot of driving, I'm so looking forward to all the time with family & taking a little break from work. Here's a peak at our 2014 Christmas card. What a wonderful year it has been! I always like to include a letter with our card to share the highlights of our year with friends & family. It's hard to believe I'm sitting down to write our Christmas letter again. It's no wonder the year has flown by, 2014 has been full of adventure and fun. Andrew and I are always on the go, and we wouldn't have it any other way. 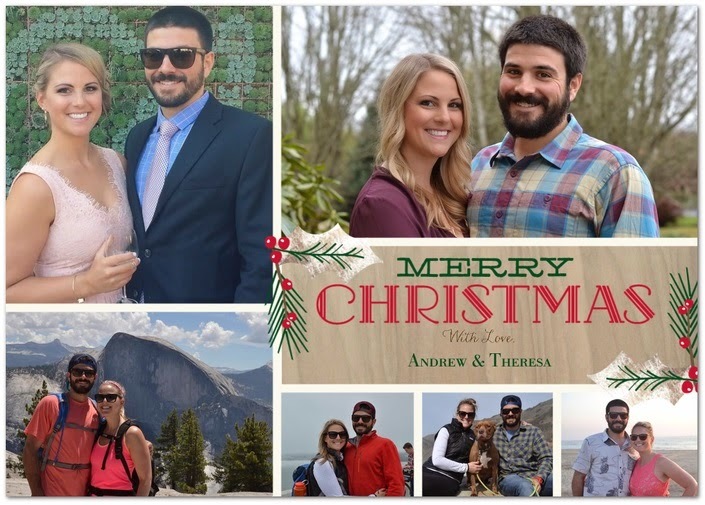 Some of the highlights of the year were trips down to San Diego to see Andrew's family, a Bachelorette party in Palm Springs, camping in Tuolumne Meadows with Theresa's family, the Giants winning the World Series, a trip Mexico for a friend's wedding, and Portland for Thanksgiving. Theresa is still working for the same small, family owned consulting firm in San Francisco. 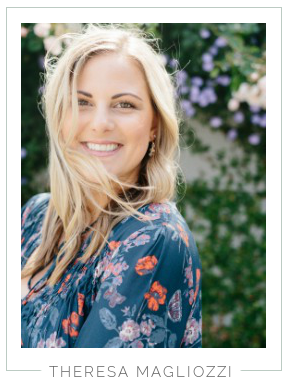 In addition to her full time position, Theresa also started styling part time for an exciting company called Stitch Fix. It's a personal shopping service based out of San Francisco that is growing rapidly. Theresa loves being an Auntie, and is excited for her newest niece or nephew arriving in March. She tries to spend as much time as possible with Phillip and her family, but it never seems like enough. And although less frequently, she is still blogging at From Foothills to Fog. If only there was more time in the day! Andrew is also doing well. He's looking forward to the start of snowboarding season, hopefully it will be a big snow year! He is always on the go, the more activities the better! During the week he keeps busy at the gym and playing on two softball teams, which he really enjoys. In July he started a new job at Lending Club. It's an exciting company to be a part of, they just went public! In the new year he hopes to fit in as many weekends for camping, snowboarding, and surfing as possible. As wonderful as 2014 has been, we're really looking forward to the new year. It's the last year of our 20's and we hope to make it the best yet and begin our 30's as our best selves. We love living in such a fun city, it's perfect for this stage of our lives. Wishing you and your loved ones a Merry Christmas and Happy New Year! Happy Holidays! Thank you for reading & supporting this little blog of mine! We love Tiny Prints & have ordered our cards there the past two years. Here's our card from 2013! Merry Christmas!!! Hoping your Christmas is fabulous and safe with all the driving. Thank you for letting me follow along on your journey through life. I love you!!! Hope you had a wonderful Christmas! !